Starting in 2015, I made a goal to actively read more. I approached this in two directions: traditional books1 and trekking through my Pocket queue. For those who aren’t familiar with Pocket, it’s an app that allows you to save online articles and videos for later consumption (even offline). Moreover, it has an amazing interface which makes reading web content feel comparable to an eBook. One issue I have always faced with Pocket is the fact that deferring content to read later2 often meant that I never got to it or read it much later, when no longer relevant. In the past few weeks, I have been able to take my Pocket queue from well over 400 items to 100. Here are some techniques that might help in your quest to “Pocket Zero”! Badge counts help me keep track of my queue totals (and the above technique). However, I always have to remind myself that this number shouldn’t be discouraging. It’s just a mile marker. For each decrement, I’m one item closer to my goal. 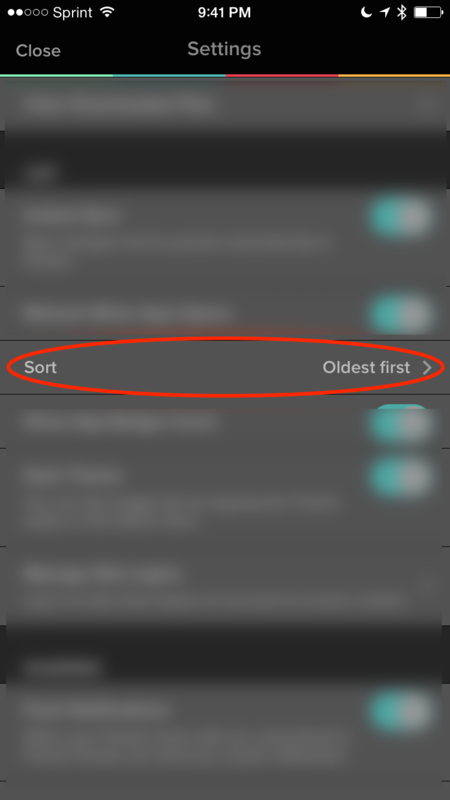 Every so often, I’ll reverse the sort order of my queue to trim older or irrelevant items. No longer interested in the topic? Archive. Out of date? Archive. Broken URL? Archive. Unfortunately, I get motion sick when reading in moving vehicles. So, I’ve often resorted to watching videos during commutes3. Another great time I’ve found for knocking out video content is during my cardio workouts (on stationary machines). It helps the time pass so quickly! 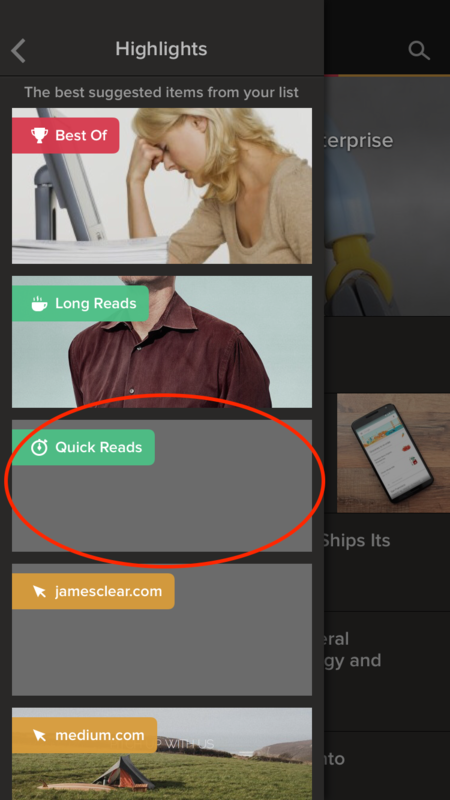 When the day is coming to an end and I haven’t gotten any reading in, this feature is a lifesaver. As the name implies, it’s a collection of the shortest items in your queue. Any progress is better than no progress. Before going to bed each night, I’ve started to look back at my most recently archived items. Reviewing items helps with spaced repetition of their core ideas and better persists them into memory. Moreover, this fits snugly next to my habit of journaling. You Don’t Have to Read Everything in Your Queue. Life Goes On! Hope these techniques help you get the most out of Pocket! Have any that you use personally? I’d love to hear about them! 1: My current preference for reading is with iBooks. This allows me to seamlessly transition across all of my devices (including bookmarks, notes, and hightlighting). I have given the Kindle app a try, but I preferred the visual aesthetics of iBooks over it. 3: Not driving of course!